Past life regression allows you to learn who you were in a past life or lives. A Life between Lives session enables you to visit the spiritual realm where you return to between your lives on earth. Experiencing a past life has many benefits. You can gain a deeper understanding of your current life, patterns of behavior and relationships. You can release sabotaging blocks or traumas. You can find the origin of physical problems and unsettling emotions. Past Life Regression (PLR) is based on reincarnation, the idea that we have lived before in different bodies, times and places There is strong evidence that PLR is effective in helping people solve problems in their current lives..
A Life between Lives (LBL) session enables you to visit your soul home, the place you return to after each life lived on earth. In a soul state, you meet your spiritual guide, your soul family and may reunite with departed loved ones. You have an opportunity to ask questions and benefit from the advice of wise beings. You can discover plans for your current life, made by you before you were born. LBL is a profound, life-changing experience. You must complete a PLR before scheduling an LBL. Hypno-Reiki combines the benefits of hypnosis and Reiki. Reiki is based on the idea that an unseen life force energy flows through us and is what causes us to be alive. When we are stressed, ill, injured or just not taking care of ourselves, this energy becomes depleted, blocked and unbalanced. Reiki replenishes, clears and balances this life force energy to promote healing and well-being. During hypnosis, when the mind is in a relaxed state, therapeutic suggestions are given to promote wellness. The combination of the two therapies is powerful! Newton, Michael (1994). Journey of Souls, St Paul, MN; Llewellyn Publications. Newton, Michael (2001) Destiny of Souls, St. Paul, MN; Llewellyn Publications. Newton, Michael (Ed) (2010) Memories of the Afterlife; Woodbury, MN; Llewellyn Publications Worldwide. 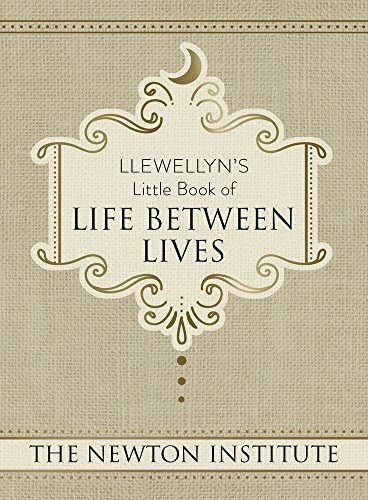 The Newton Institute, Clark, A.J; Joy, K; Hargreaves, M; Selinske, J, (2018) Llewellyn's Little Book of Life between Lives; Woodbury, MN; Llewellyn Publications Worldwide.